Here we are providing Ultimate Solution for the Studies. You are a businessman and want to outsource your, services. In this context, discuss any two services which you want to outsource. Many business owners reject outsourcing because they think its costly. However, they fail to calculate the value of opportunities lost because they invested too much time into tasks that can be best left to others. 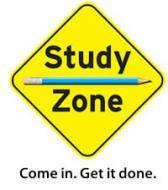 Study Zone conducts classes in Class 10 Tuition, Class 11 Tuition and Class 12 Tuition. It is located in Vatva, Ahmedabad. It takes Regular Classes- at the Institute and Online Classes- via online medium.